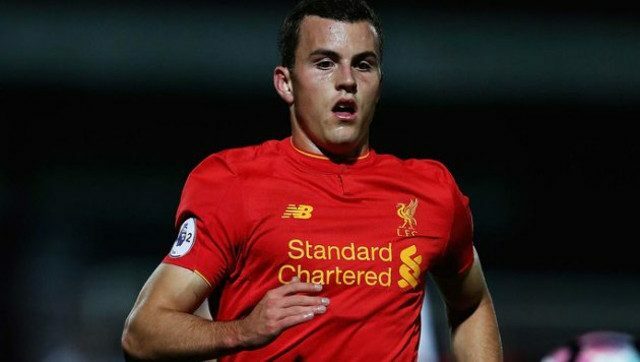 Striker Brooks Lennon poses as the perfect representation of everything you want in a young player in terms of his desire to work hard and make the most of what he knows is an incredible opportunity to play for Liverpool. The 19-year-old has netted six goals for the U23s so far this season and has scored in four consecutive home games, including in last Saturday’s 3-0 Premier League Cup win over Huddersfield Town. Lennon is certainly making the most of his role as a replacement for Danny Ings, who was ruled out for the rest of the season after picking up a knee injury in last month’s EFL Cup win over Tottenham. The American is repaying the faith manager Michael Beale has shown in him so far, providing key goals that have helped the U23s rise to third in the Premier League 2. Besides this, he has already had a taste of the famous Merseyside rivalry with Everton, having got on the score sheet with a header in the mini-derby. It’s great to see another one of Liverpool’s youth stars, catching the eye.